When should I wean my baby from the pacifier or bottle? What if the teacher tells me my child is not meeting certain milestones at school but he/she is exceeding these milestones at home? What if the childcare workers tell me my child is aggressive? How can I get my child to talk about what he/she did at school today? 8 Weeks – Sense of touch begins to develop. This means your baby can feel your warmth and softness. 12 Weeks – Sense of smell and taste develop in your second trimester. In a process called “fetal breathing”, baby is inhaling and exhaling your amniotic fluid. 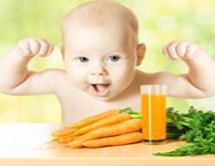 This means what you eat and drink is taken in by your baby during the earliest stages of brain development. 24 Weeks – Hearing begins to develop at the end of your second trimester. Your baby can hear your heartbeat and the sound of your voice. 3rd Trimester – Vision develops as baby learns to perceive light and darkness. Your newborn’s stomach is about the size of a marble. This is why newborns need to nurse or be fed every few hours. In their first few months, most babies sleep as few as three or four hours at a time around the clock. As the parent of a newborn, you can expect to be awake with your hungry infant each night, but don't worry, this won't last forever! As babies grow, they develop more predictable patterns of sleep and wakefulness, and by four months of age, your child may begin sleeping between five and eight hours straight each night while still napping two to three times per day. Stay focused, and soon your dedication to establishing a bedtime routine will pay off! Cut down on daytime sleep. If your baby sleeps longest during the day and isn't progressing toward eight hours of continuous sleep at night, encourage your child to stay awake longer during the day or gently wake him or her after three hours of naptime. Be sure to keep track of how long your baby sleeps during daytime naps. Make sure your baby is warm, well fed and in a clean, dry diaper. Begin to establish some sleep routines. A warm bath, a change into pajamas, a few minutes of rocking or snuggling or a story can be cues to your baby that it's bedtime. Learn your baby's sleep signs. Babies who yawn, rub their eyes or gaze vacantly into space are trying to tell you they're tired. Recognizing your baby's sleep signs will help you learn to put him or her to bed at just the right time. Create dark and quiet. At bedtime, speak softly to your baby or play soft music. Turn off the TV and extra lights so your child learns to associate low light and quiet with sleep. Differentiate between day and night. Keep household noise to an ordinary level during daytime naps, both to help your baby learn to sleep through minor disturbances and to help him or her learn the difference between daytime and nighttime sleep. Leaving a fan on at night may help muffle loud noises that may wake your baby. Keep interruptions short. Night feedings should be calm, quiet, dark and brief. Keep the crib warm by putting a heating pad or hot-water bottle in the crib while the baby is out of bed. Put your baby back to bed as soon as you finish the feeding. Babies who normally sleep through the night but awaken occasionally may be able to fall asleep again on their own. If not, a quick, simple check for safety is fine. Then you can place your baby back in the crib. Let others put your baby to sleep, too. Alternate putting your baby to bed with your partner or other caregiver so your baby doesn't associate sleep with just your presence. Expect your baby's sleep patterns to change. Growth spurts, teething, illness and travel can all disrupt the sleep schedule. Be patient and stick as close to your usual routine as possible, and soon things will return to normal. Exaggerated mood swings. From moment to moment you might go from feeling happy to being irritable or crying uncontrollably. Fatigue. You feel exhausted most of the time. Appetite disturbances. You have a loss of appetite or are eating too much. Difficulty concentrating. You feel confused or seem to forget things. Inability to cope with everyday situations. You may feel overwhelmed or helpless. Low self-esteem. This can include feelings of worthlessness or guilt. Lack of interest in the baby. Or, you resent the baby or other family members. Fear of harming yourself or your baby. Contact a health care professional immediately if there are thoughts of injuring either the parent or the baby. Anxiety or panic. You have a fear of losing control. Physical symptoms such as heart palpitations or shortness of breath may occur. The average age for children to start crawling is between seven and ten months of age. However, not every child crawls at the same time or in the same manner. Developmental milestones are based on an average age that children typically develop. However, not all children are the same. If you child does not achieve a milestone by the upper end of the age range, check with your pediatrician on whether or not you should be concerned. While drooling is one sign of teething, it is difficult to say whether drooling is a result of teething, a typical developmental action, or another issue, as all can be true. If concerned, contact your pediatrician. You cannot spoil a baby! Responding to a child’s needs simply creates a world that the child knows is a safe place. Babies do not have the cognitive ability to manipulate in the first year. Temper tantrums are a normal part of a child’s development. Before they can use their words to effectively communicate, they use behavior to act out emotions. This link provides some tips from the American Academy of Pediatrics on how to respond to a temper tantrum. Potty training readiness is different for each child. Look for signs that your child is ready, such as showing interest in using the toilet or wearing real underwear. This typically happens between 18 and 24 months. However, if your child is not ready at this time, do not force him/her. Forcing a child to use the toilet or getting upset over “accidents” can cause stress for the child connected to the toileting process. It is important to note that babies communicate right from birth. Before the ability to use words, babies communicate with sounds, cries, facial expressions, and body movements. As a parent, it is important to pay attention to and respond to these ‘cues’ to make your baby feel valued and cared for. In terms of actual words, babies typically will use one or two simple words, such as Ma-Ma and Da-Da by the end of the first year of life. 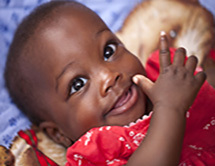 A baby’s first truly social smile usually occurs between six and eight weeks of age. One issue pertains to using these objects for soothing purposes. Try to help your child learn to self-soothe instead of using a pacifier so that he/she is not dependent on that object for comfort. Talk to your pediatrician about the best time to wean and how teething can be impacting by the pacifier. The second issue is in regards to nutrition. Once a child is eating solid foods, offering a bottle too often may lead to a child declining nutrition through other foods. When a child cries after a parent leaves the room, this is referred to as Separation Anxiety. This response is completely normal and is actually a new milestone for your child that occurs when a child has developed Object Permanence. This simply means that a child understands that although they cannot see you, you are still nearby. Responding to your child’s cues and creating a secure environment will help to reduce these reactions. 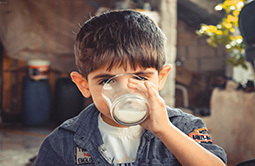 Milk and dairy – 3 servings or one pint of whole milk per day. Be a good role model. Most of the parents we know complain that their children refuse to eat healthfully and come to us in search of magic recipes that will put an end to mealtime madness. The real problem most often lays with the parents, not the kids. Take your kids shopping with you. Take them when you’re not in a hurry and spend a lot of time in the aisles that contain unprocessed foods — the produce, meat, and fish departments, for example. If your child appears to be interested in a certain type of fruit or vegetable, encourage him or her to explore that item; don’t just assume that your child won’t like it. Take it home and let him/her try it so he/she can make his/her own decisions. Be flexible! Remember, anything in moderation is okay. Of course, if you eat doughnuts in moderation, followed by potato chips in moderation and soda in moderation, it is no longer healthy. Having a cookie every day and balancing it with healthy foods is a better practice of moderation. Make mealtime special. There are all sorts of fun things we can do to make mealtime special. First and foremost, sit down and enjoy your food. Take time to savor flavors. Children should never eat while walking around. Don’t be a short-order cook. Ever find yourself making one meal for the adults in the house and another for the kids — or even one for each kid? Children take their time warming up to new things and if you keep giving them the old standbys they’re not going to branch out and explore new foods. Be patient. Don’t buy into marketing for kids. Kids don’t need frozen chicken nuggets, French fries, macaroni and cheese, and pizza to keep them happy. Highly processed foods like these are loaded with chemicals, synthetic fats, additives, artificial sweeteners, and food colorings. As early as three years old, a child can grasp why sodas aren’t good for you and why we don’t eat foods with lots of fat every day at every meal. Don’t use food as rewards, bribes, or punishments. Okay, we know, M&Ms have a long history as the bribe candy for potty training — even the most health-conscious mom will break down and try M&Ms during that oh-so-critical stage of development. Don’t give in! Stickers work just as well and you won’t be setting a precedent for using food as a bribe or reward as your child gets older. Let kids help in the kitchen. Encourage your children to help out in the kitchen. With proper supervision even a child as young as three-years old can help peel potatoes or carrots. Love and accept your child no matter what! Love and accept your child at any weight, size, or shape. During childhood, growth is unpredictable at best. It comes in spurts and a once-skinny child can suddenly plump up while his height catches up with his weight. There’s a lot of pressure in our society to be thin, and you might be tempted to put your child on a diet during a growth spurt, but that won't be helpful and may even cause emotional and physical damage. Make sure your child eats breakfast. It’s the most important meal of the day, and it should ideally be the largest meal of the day to get your child off on the right foot. After ten to twelve hours with no food it’s important to refuel the engines. If they don’t eat in the morning they’ll be tired and unable to concentrate in school before lunch. It’s essential that children jumpstart their metabolism in the morning so their bodies don’t enter starvation mode, which might later cause them to experience difficulty maintaining a healthy body weight. Perhaps no single factor influences a child's health and lifelong well-being more than food patterns established early in life. Contrary to many parents' assumptions, children are not by nature finicky eaters. In fact, childhood is characterized by exploration; and children are naturally curious about foods, their textures, shapes, colors, and flavors. Parents too often create finicky eaters by conveying their own likes and dislikes to their children through words and actions. The Inclusion Department at the Early Learning Coalition provides inclusion support services for children ages birth to five. If your child is in the public school system and requires early intervention, please contact the Exceptional Student Education department for your child’s school district. 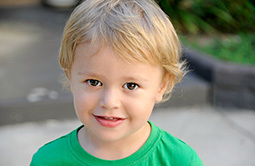 They will be able to assist you in determining your child’s needs. Your pediatrician is the best resource for conducting a developmental assessment for your child. Additionally, feel free to visit www.cdc.gov/ncbddd/actearly/milestones/ for information on milestones and developmental delays from the website of the Centers for Disease Control and Prevention. Social emotional development is an integral part of a child’s development. It is important to remember that there is a reason for every behavior, and it is up to us, as adults, to determine the reason so we can then work on preventing it. The following websites offer strategies and helpful information on challenging behaviors for young children. Nuestro departamento the Inclusión puede compartir estrategias con los maestro y personal que cuida a su niño(a), estrategias de como enseñar y alentar a los niños que están aprendiendo ha hablar el Ingles en el salón de clases. Si su hijo(a) es un niño(a) que esta aprendiendo el lenguaje Ingles, pídale a su maestra(o) que contacte a nuestro departamento de Inclusión al 904-208-2040 ext. 3 para apoyo y asistencia. At approximately 2 to 3 years of age, most children have enough vocabulary (approximately 40 to 100 words) that they are able to express their wants and needs to familiar adults with relative ease. The child’s pronunciation of those words is often filled with normal developmental errors in speech sounds including the dropping off of sounds at the ends of words. This makes it difficult, at times, for strangers to understand a young child’s speech. By about age 4, a parent can expect their child to have communication skills that more resemble adult conversation and enough speech sound development to be understood 80% to 100% of the time by non-familiar people. Biting is a very common behavior among toddlers. Children bite in order to cope with a challenge or fulfill a need. For example, your child may be biting to express a strong feeling (like frustration), communicate a need for personal space or satisfy a need for oral stimulation. With a lack of language skills, toddlers often resort to biting. If possible watch your child and see why he or she is biting and address the issue before your child attempts to bite. 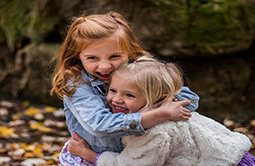 Distract the child with a toy or book, suggest how your child can handle the situation that is triggering the need to bite, and suggest ways to share. When a toddler bites, keep your feelings in check. Calm down before you respond to biting concerns. Say to the child: "Ouch! Biting hurts. We use our teeth to bit or chew food." Comment on how the other child is feeling. Let the child know that biting hurt the other child. If possible, engage the child who bit in comforting the child who was bitten.Keep it short, simple and clear. Pay attention to the child who was bitten and not to the child who was doing the biting. Show concern and sympathy for the child who was bitten. If the child is verbal, try to talk about the experiences of biting and model some other strategies the child can use instead of biting. Help the child who was bitten move on. The child who bit and the child who was bitten do not have to play with one another unless they want to. Ask the child care professional to be specific in describing how your child is being aggressive. What does it look like, when does it happen, how does the aggression affect the child’s performance in the classroom? If possible, have the child care professional take photos or videos of your child being aggressive. Ask the child care professional what strategies they are using to help your child deal with aggression. Ask if you could implement the same strategies at home so that the child will see consistency in how he or she is dealing with aggression. Keep the lines of communication open and praise your child for the good behavior that he or she is exhibiting. If your child is being aggressive, agree on consequences that could be used at home and in the classroom. If your child continues to show aggression, ask the child care professional to contact the Inclusion Department at Early Learning Coalition. The Inclusion Department staff can conduct observation of the classroom and provide strategies for the teacher for children with aggression. What if the teacher tells us me that my child is not meeting certain milestones at school but he/she is exceeding these milestones at home? Healthy development means that children of all abilities, including those with special health care needs, are able to grow up where their social, emotional, and educational needs are met. Having a safe and loving home and spending time with family –playing, singing, reading and talking – are very important. Proper nutrition, exercise and rest also can make a big difference. Tour the child care facility. Make sure to look at all of the rooms in the child care setting. What is different from your home setting that may make it impossible for your child to meet a developmental milestone? Share those concerns with the child care director and teacher. 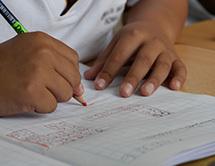 Meet with the teacher and ask for specific information about your child’s progress. Ask the teacher to provide detailed information about what he or she is seeing in regards to your child. Share specific information that you see with your child’s progress. Take photos or short videos of your child progressing through a milestone and share that with the teacher. Explore reasons why your child may not be meeting milestones at the child care setting. Come to an agreement (in form of a plan) of how to best encourage your child to demonstrate mastery of a milestone in the child care setting. Ask the teacher to praise the child for his or her efforts. Keep lines of communication open with a weekly journal between the teacher and parent. Plan an advanced meeting to review the plan you have set in place to help the child demonstrate milestones in the school setting and make adaptations or changes as the team sees fit. As in all things, communication is the key when parents and child caregivers are talking about whether or not a child is ready to learn to use the potty. Sometimes the caregiver or teacher will notice that a child is showing signs of being ready before the parent simply because the teacher is with the child for most of the time that the child is awake during the day. Parents and teachers must be in agreement about the plan in order for the potty training to be successful. Parents will need to let the teacher know which words the child will use in his or her family for the various body parts and bodily functions. Parents may also need to provide special items such as child-sized seats for the toilet and lots of extra underwear. It will be important for teachers and parents to communicate with each other about how the child is doing every day during the first few months of potty training. Young children need to feel secure and comfortable in their childcare setting. It can be upsetting to have to move to a new classroom with a new teacher. Parents and teachers should work together to make the transition go smoothly for the child. Parents should be sure to meet the new teacher and visit the new classroom before the transition takes place. Before moving to the new classroom, it might be helpful for the parent to take the child for a short visit to the new classroom. The current teacher can also help by going with the child to the new classroom to meet the new teacher and visit for 10 – 15 minutes several times (staying with the child) before the actual transition takes place. Experiencing a smooth transition from one classroom to another can help children begin to understand the notion of saying good-bye—a life skill they will take with them as they grow. Where is the coolest place at the school? Why? Who would you like to play with that you've never played with before? What word did your teacher say most today? Why do you think she said that word a lot? What do you think you should do/learn more of at school? Why? What do you think you should do/learn less of at school? Why? Who in your class do you think you could be nicer to? How? What do you like to play with most outside?